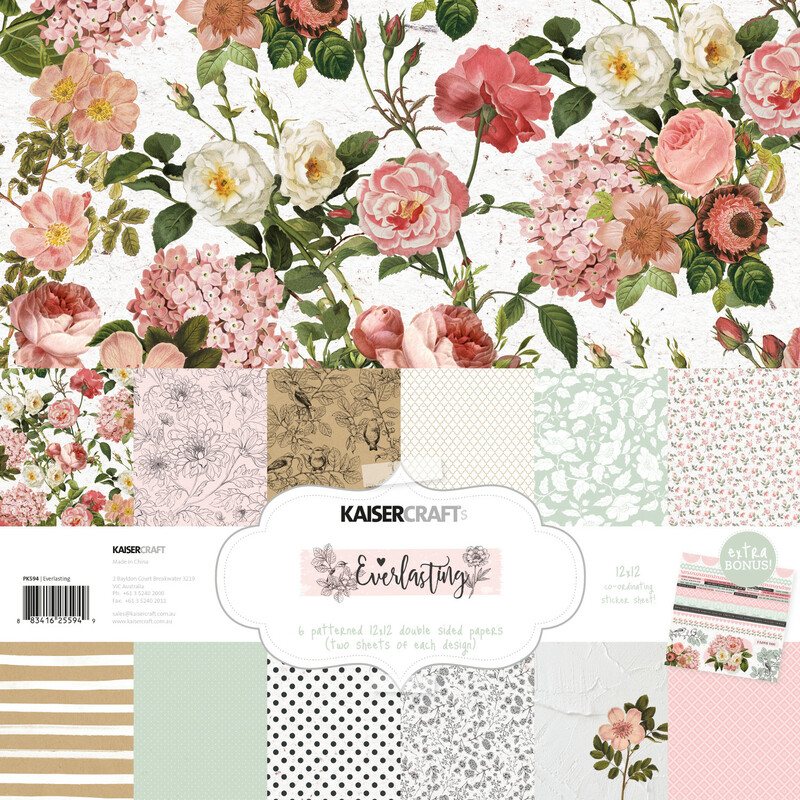 Everlasting Wedding - Kaisercraft Official Blog by Rikki Graziani DT member Kaisercraft. 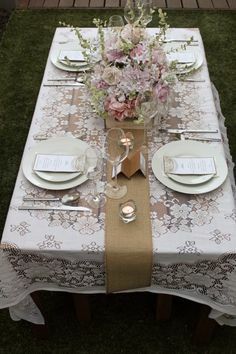 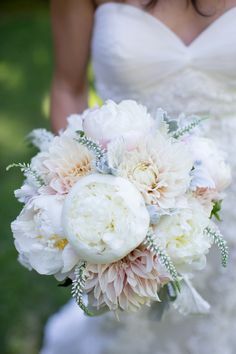 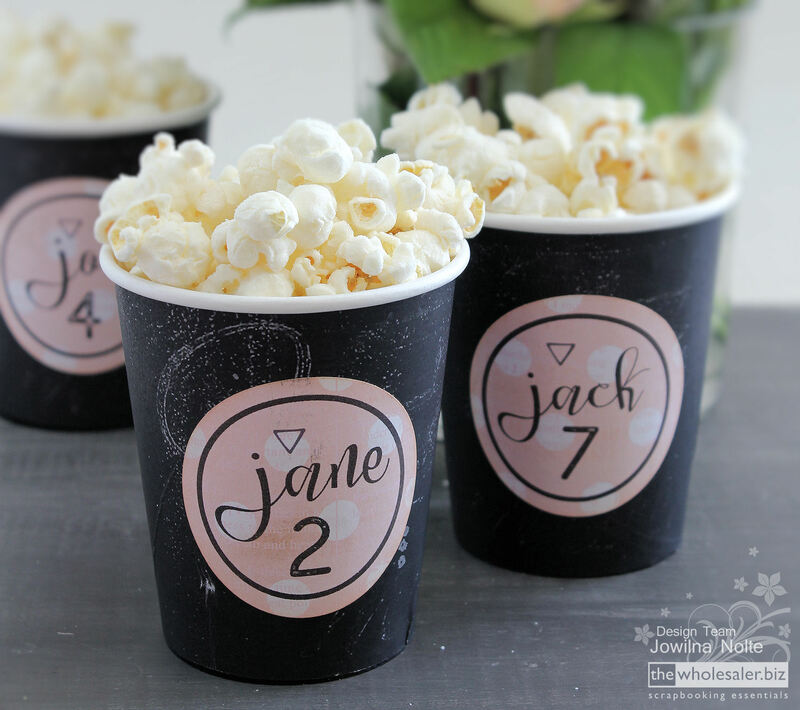 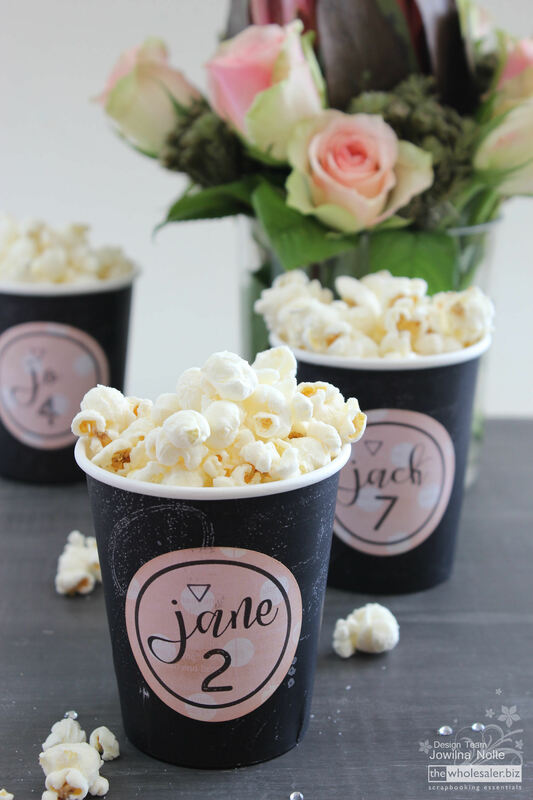 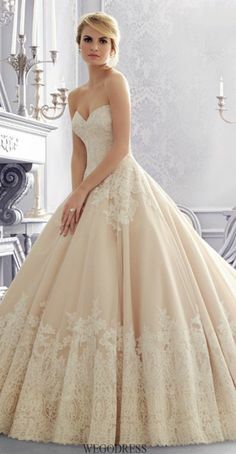 Now to show what your wedding table might look like. 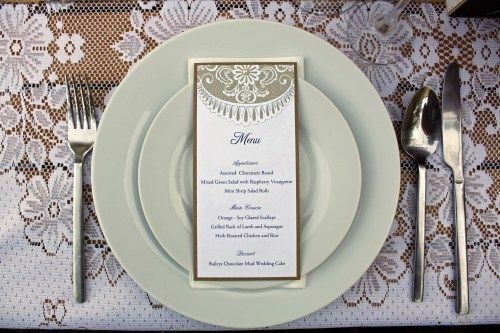 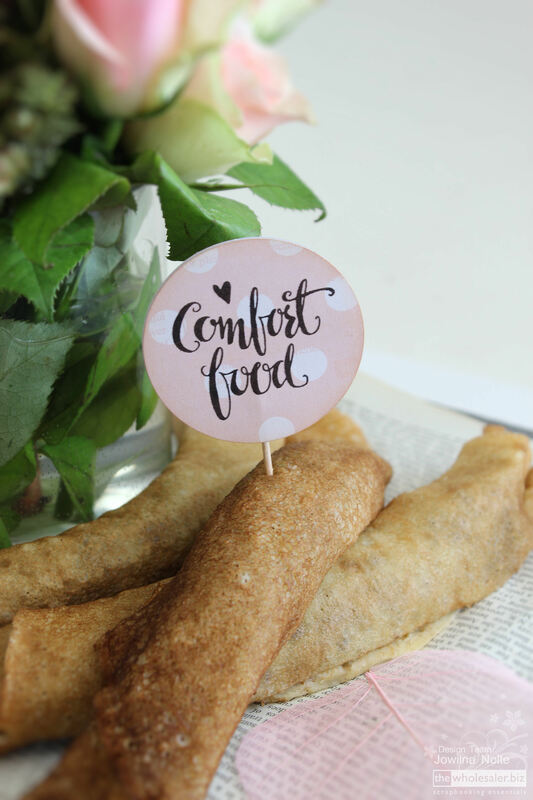 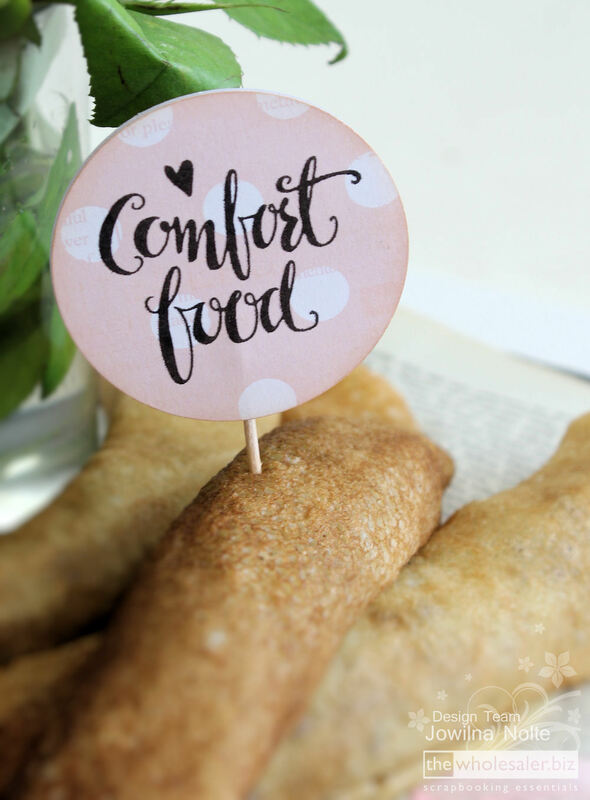 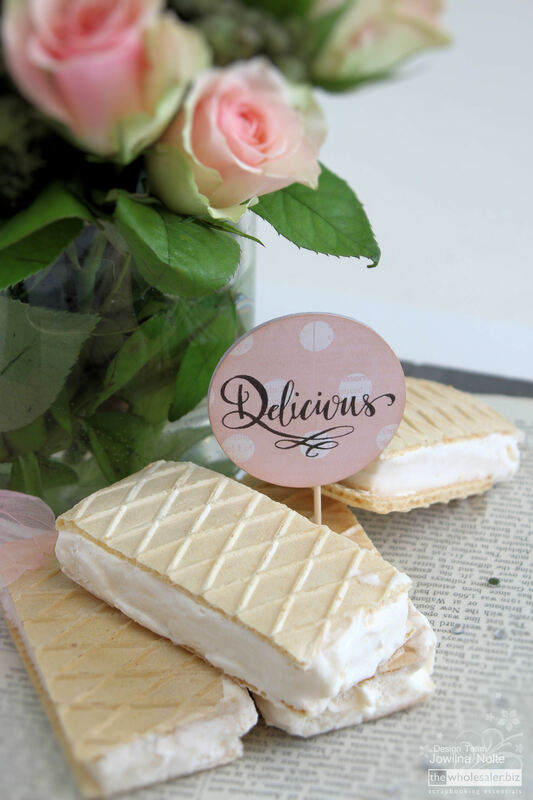 Now to show you want your wedding table might look like ……. 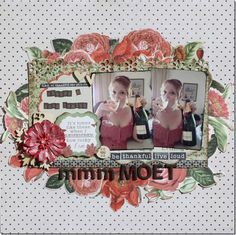 Starting from the early evening …… into the night. 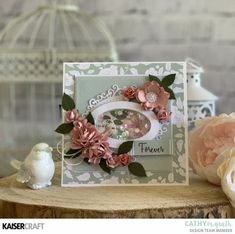 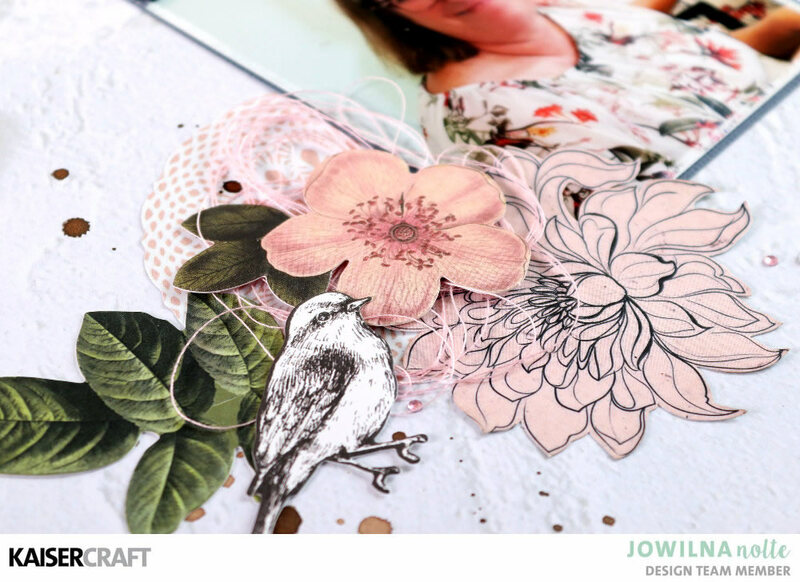 Beautiful Shaker Card by Cathy McGrath Design Team member for Kaisercraft Official Blog using their December 2018 'Everlasting' Collection. 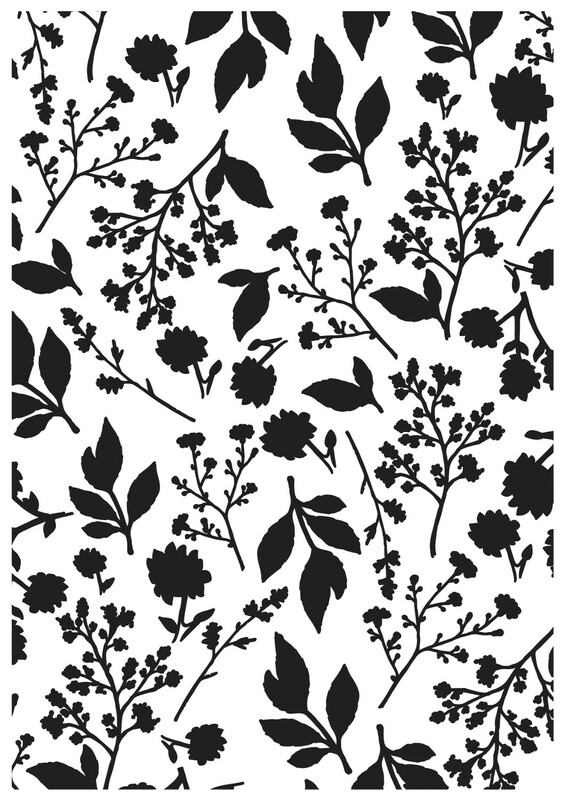 Step 1 – Adhere the 2 x ONE and ONLY Patterned papers together with a piece of double-sided tape to form your background. 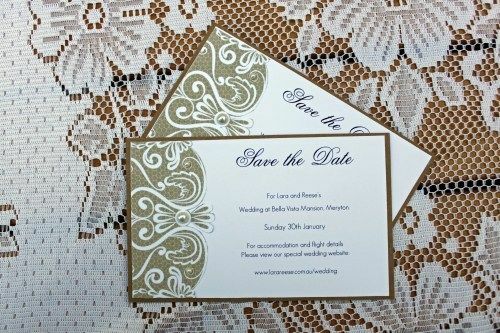 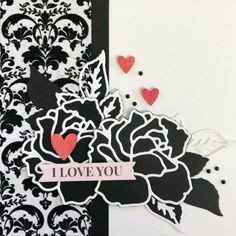 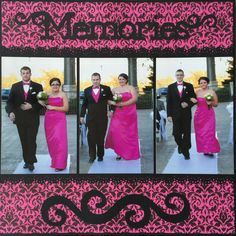 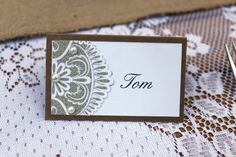 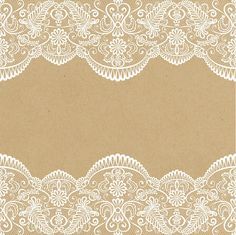 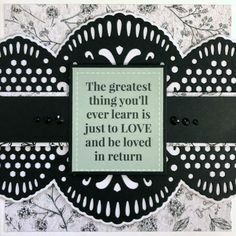 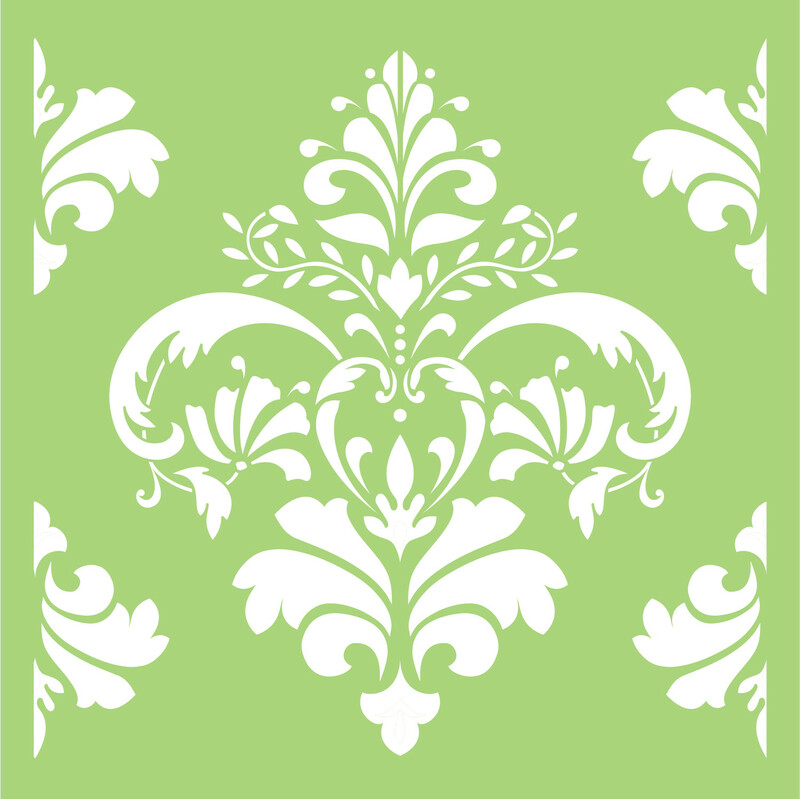 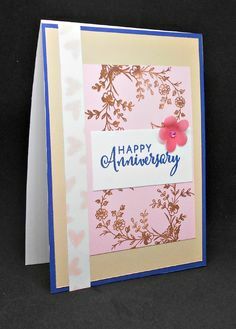 Use the Damask Template and white VersaMagic ink and blend through the template using a finger dauber to add a design to the inked background. 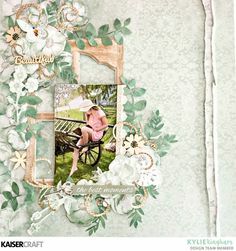 For the Greenery I used Art Foam Green with KaiserInk Pad – Denim. 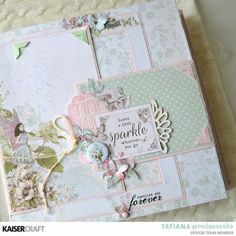 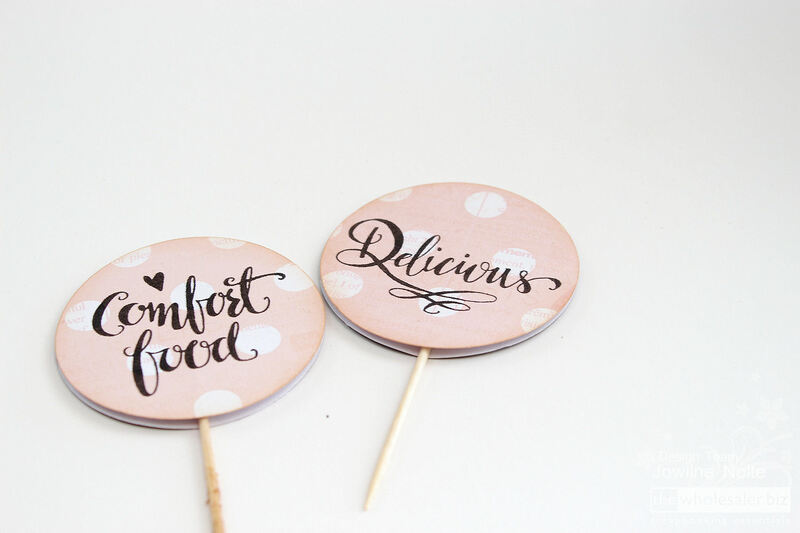 Home - Kaisercraft Official Blog. 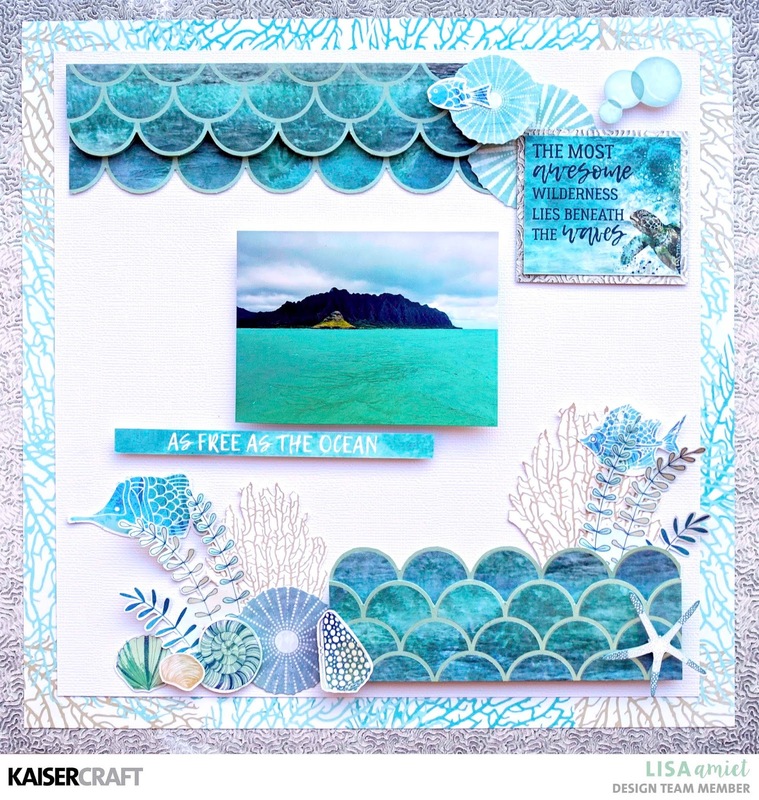 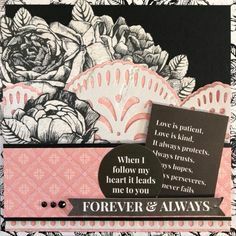 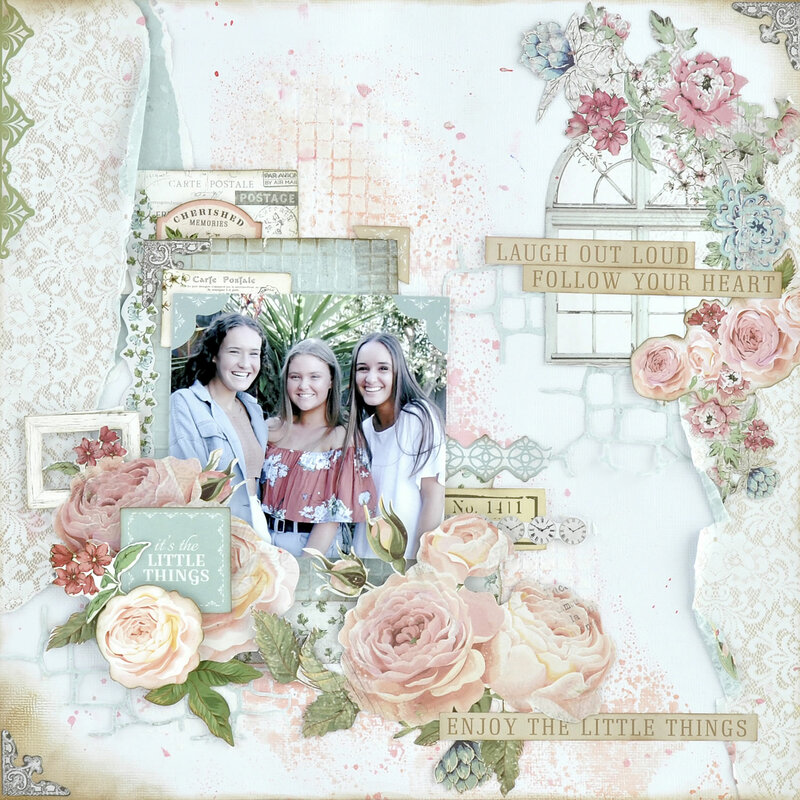 This stunning layout is by Chrissy Tingey and she has also used the Kaisercraft Dec 2018 "Everlasting' Collection. 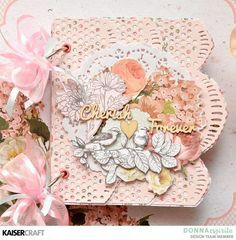 To create this card, view the video tutorial below. 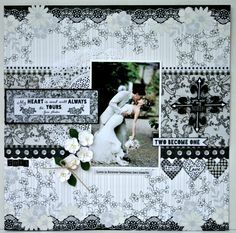 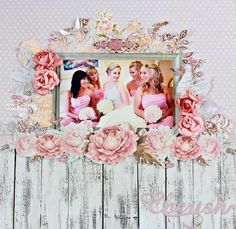 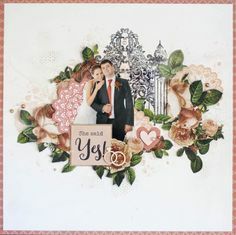 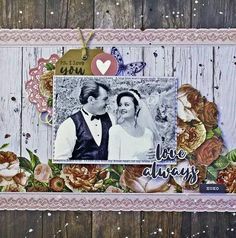 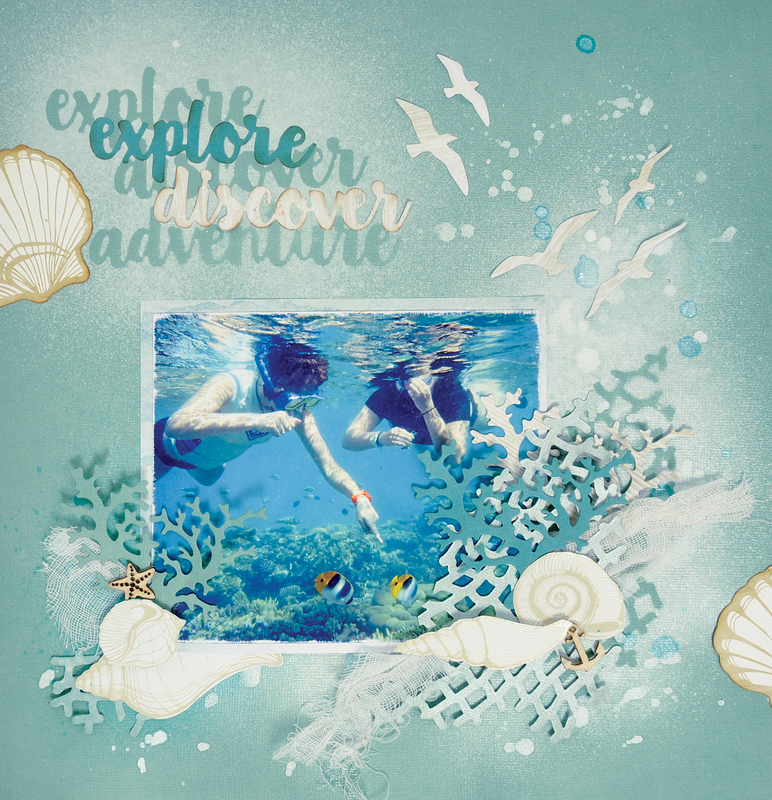 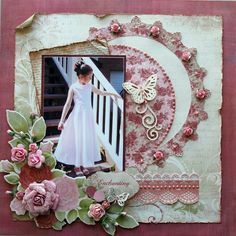 If you like a little mixed media and the vintage feel, Cathy has done just that with the layout below. 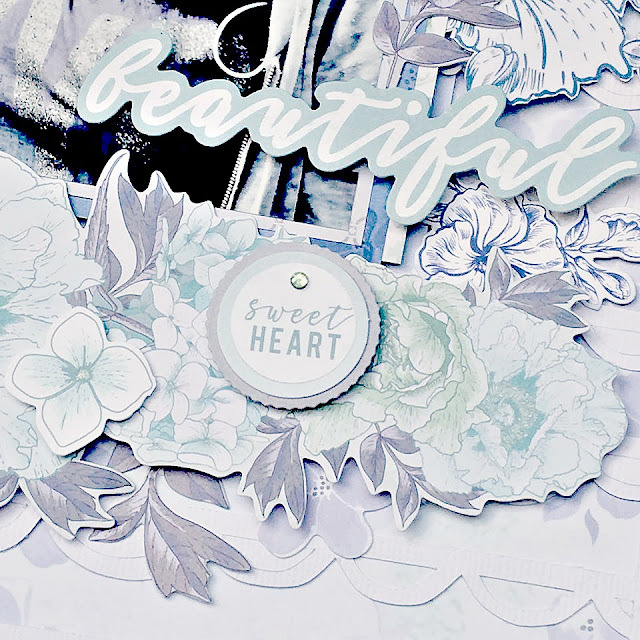 Adhere a small butterfly from the collectables pack on the right side of the strip. 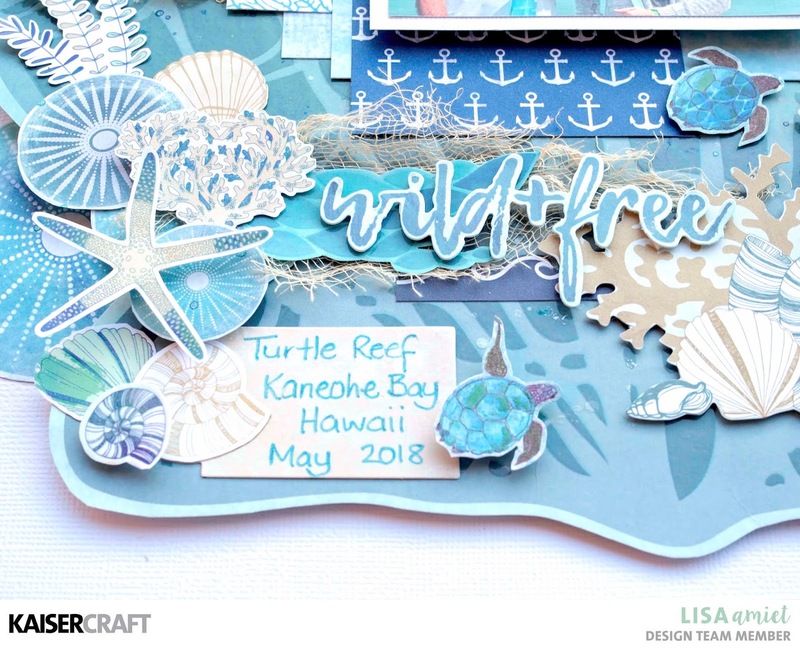 Perfect for my visit to Turtle Reef! 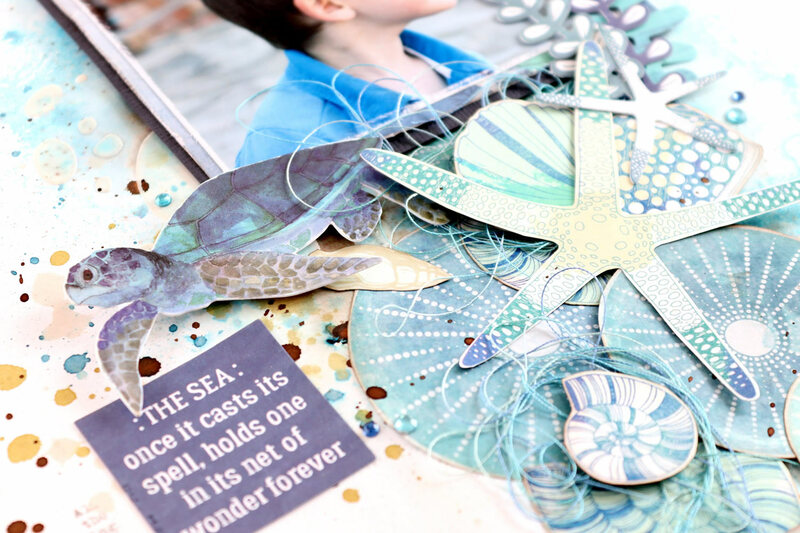 Lots of turtle and sea life critters. 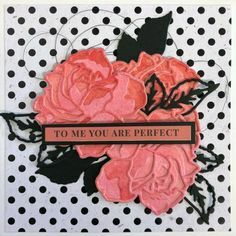 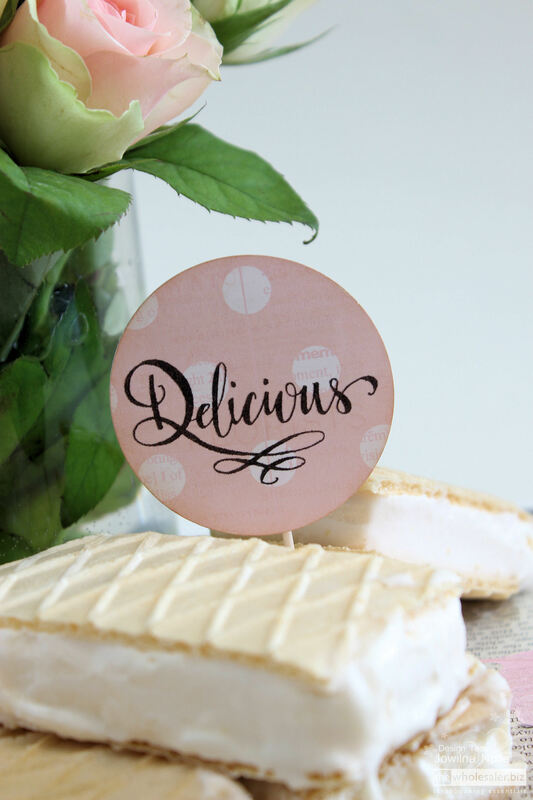 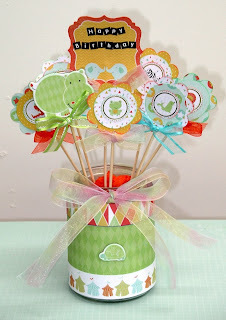 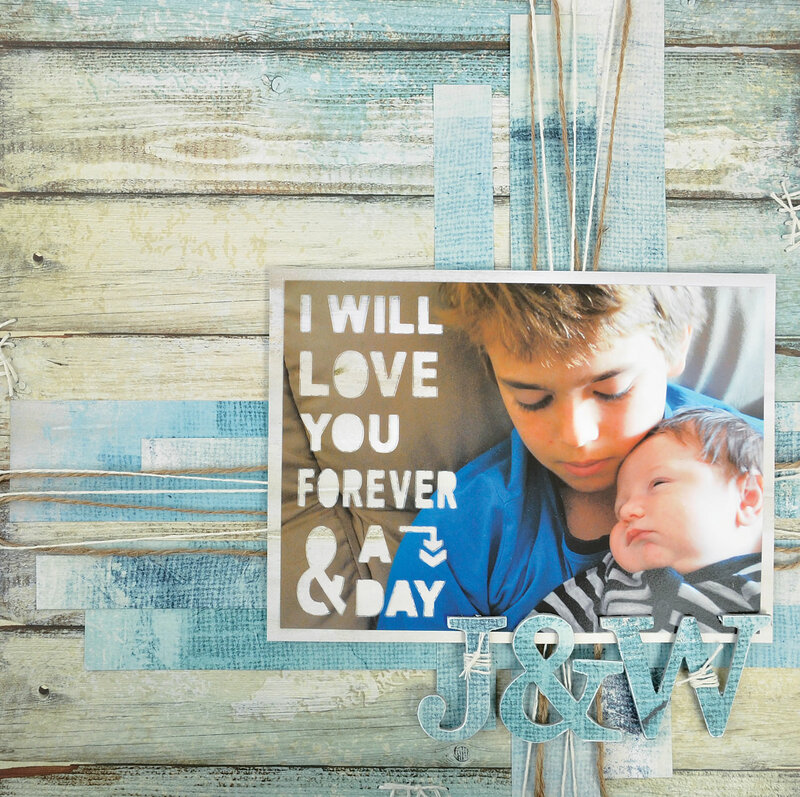 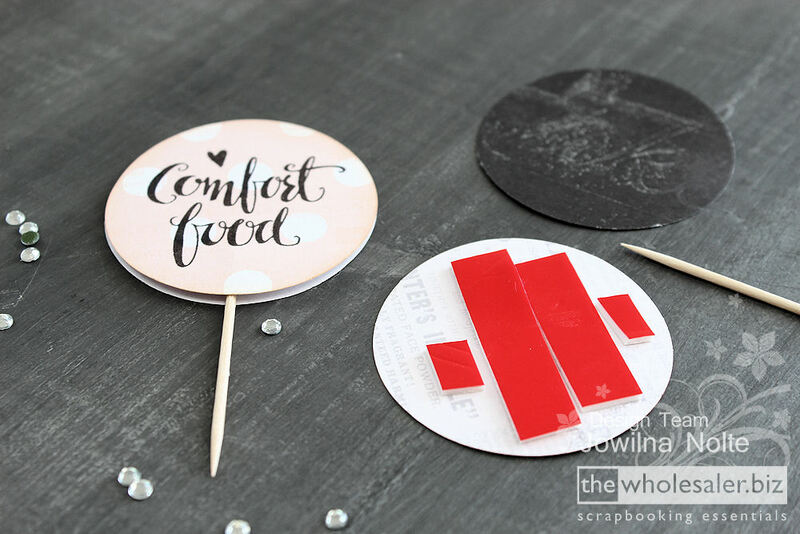 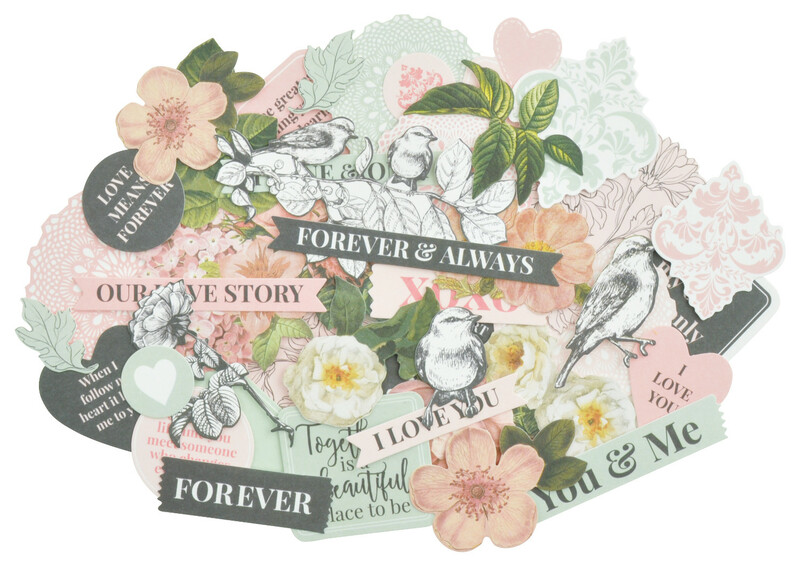 Step 2 – Cut out cards and elements to use on your layout from the Love You patterned paper sheet. 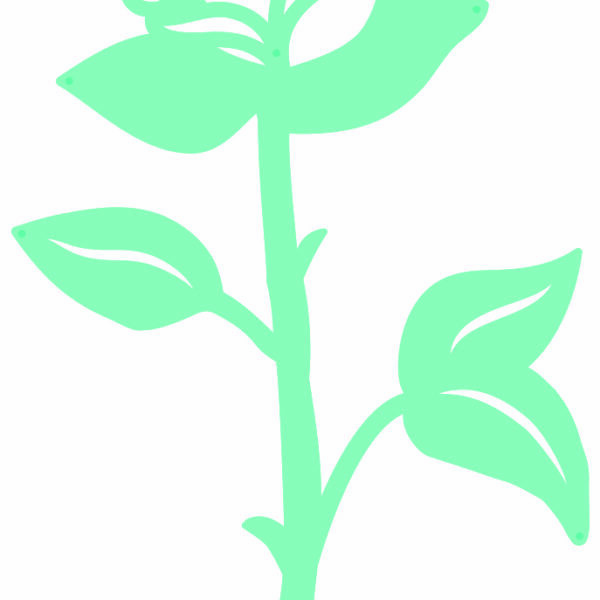 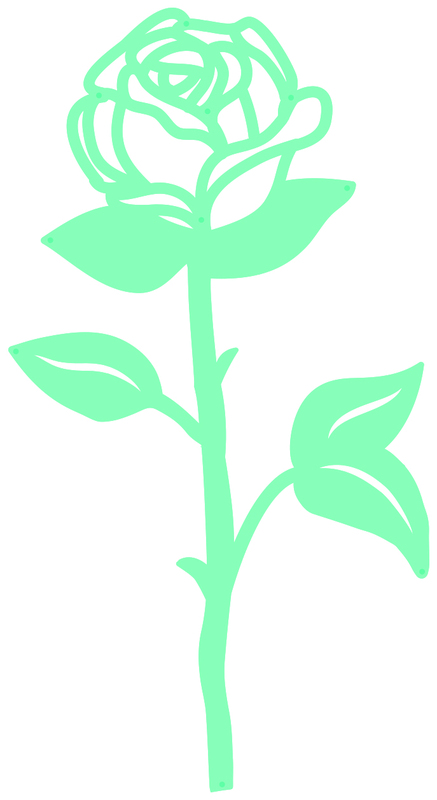 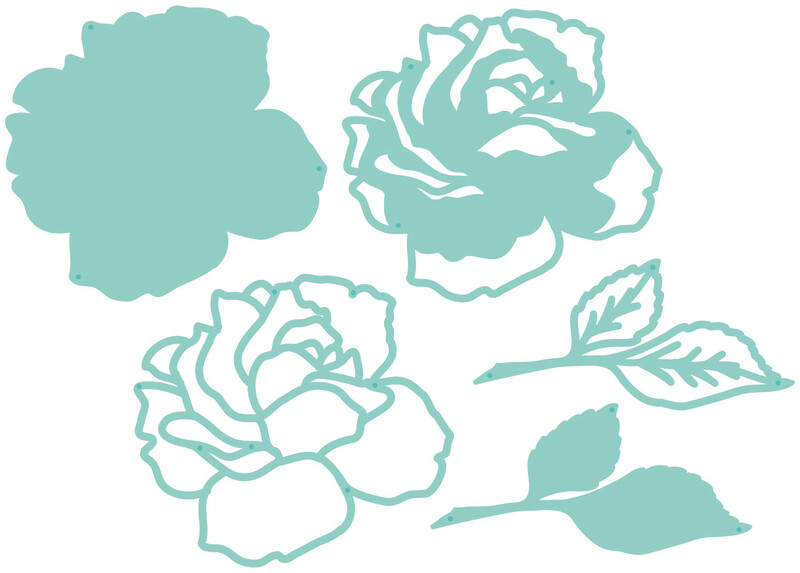 This is the main part of the page background created. 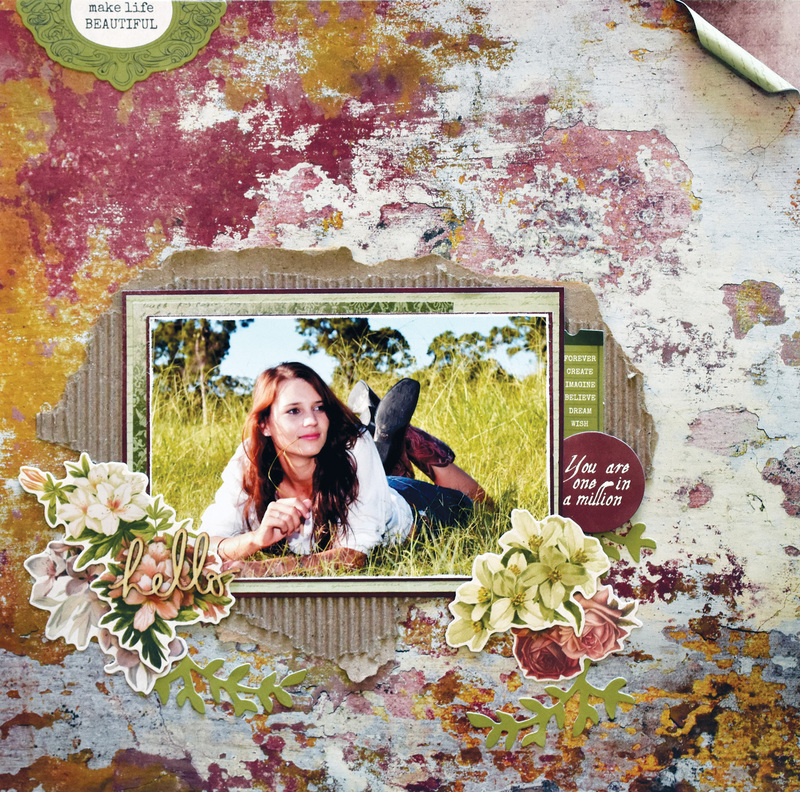 Download the PDF to see what I used to finish off the page. 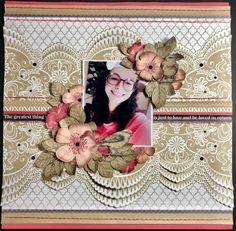 The Mademoiselle collection really inspired the card maker inside of me and I had a lovely time making cards with these gorgeous papers. 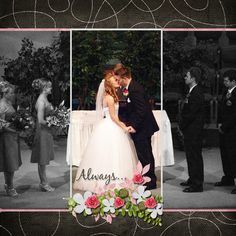 I added in some layers and one of my wedding photos. 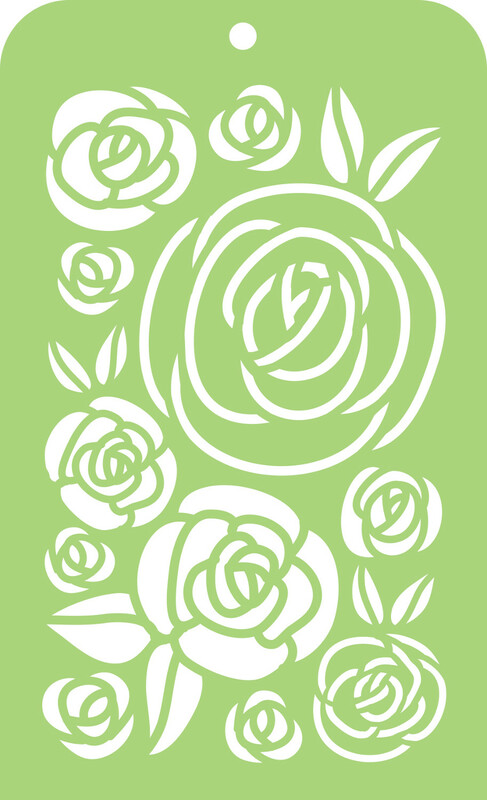 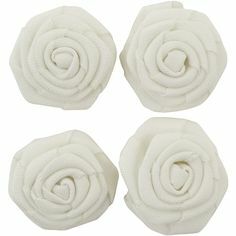 Emboss 2 large flowers onto white cardstock using the Clear stamp. 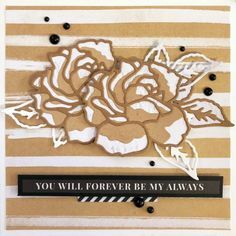 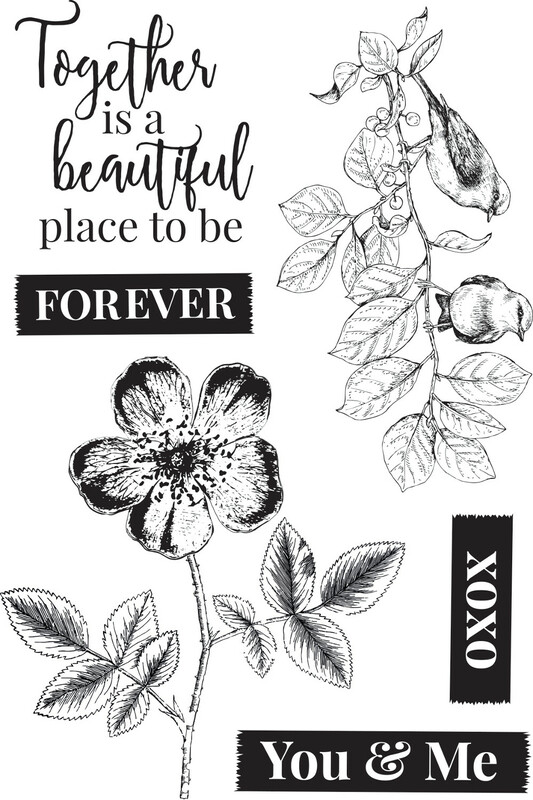 Stamp the flowers in black VersaFine Clair ink and sprinkle with clear embossing powder. 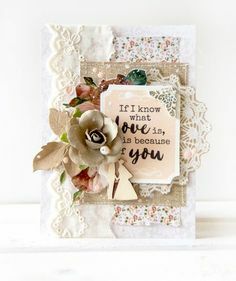 Sometimes we have the idea that heaven is a nice, quiet peaceful place where harps are playing and angels are flitting delicately around. 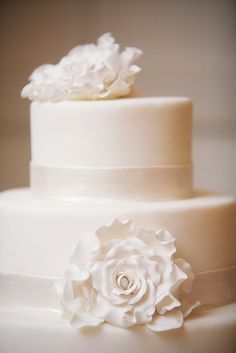 It was a nice outside wedding and I think they are happy with how it all turned out after a year of planning. 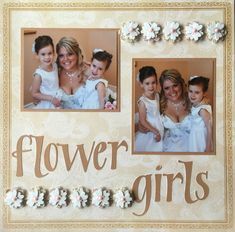 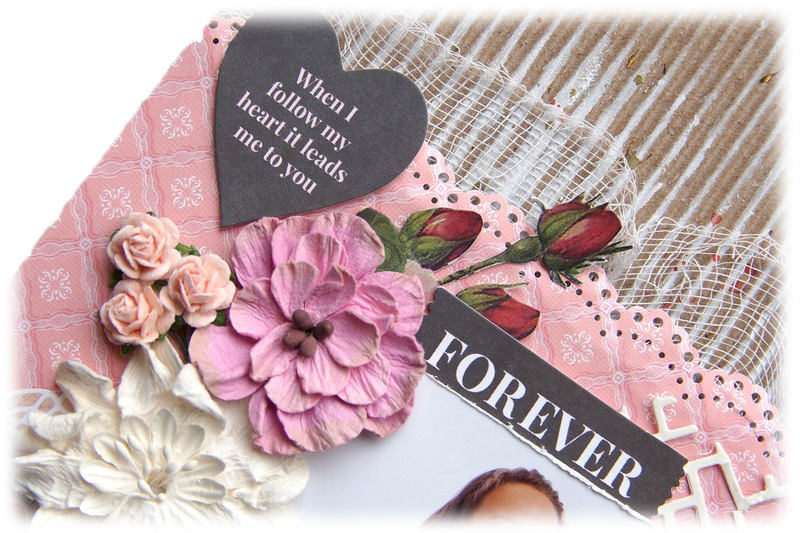 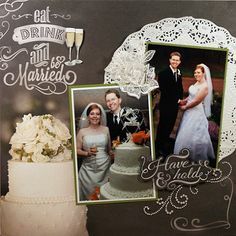 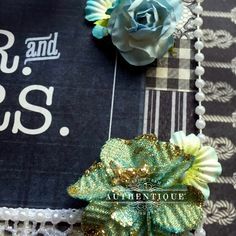 embellish your page using different fussy cut images, paper flowers and coloured rhinestones.